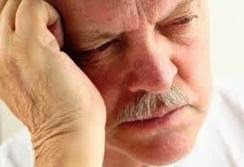 Scientists are reporting a possible explanation for the symptoms of anxiety and depression that occur in some patients taking the popular statin family of anti-cholesterol drugs, and reported by some individuals on low-cholesterol diets. These symptoms could result from long-term, low levels of cholesterol in the brain, the report suggests. It appears in ACS' weekly journal Biochemistry. Amitabha Chattopadhyay and colleagues note in the study that statins work by blocking a key enzyme involved in the body's production of cholesterol. Some studies link the drugs to an increased risk of anxiety and depression, but the reasons are unclear. The scientists previously showed that maintaining normal cholesterol levels is important for the function of cell receptors for serotonin, a brain hormone that influences mood and behavior. But the long-term effect of cholesterol depletion on these receptors, which can occur in patients taking anti-cholesterol drugs, is unknown. The scientists turned to the statin medication mevastatin to find out. In lab tests using human serotonin receptors expressed in animal cells, they showed that long-term use of the drug caused significant changes in the structure and function of serotonin cell receptors. Adding cholesterol to cells treated with mevastatin restored them to normal. The results represent the first report describing the effect of long-term cholesterol depletion on this type of cell receptor and suggest that chronic, low cholesterol levels in the brain might trigger anxiety and depression, the scientists say. Article: "Chronic Cholesterol Depletion using Statin Impairs the Function and Dynamics of Human Serotonin1A Receptors".